Do you ever buy a t-shirt that you just LOVE and wish you would have bought more of? That happened to me early this Fall. I bought a striped tunic-length v-neck tee that I loved the look and feel of. It didn’t come in the other colour I wanted (heathered grey), so I decided to copy and sew my own version! 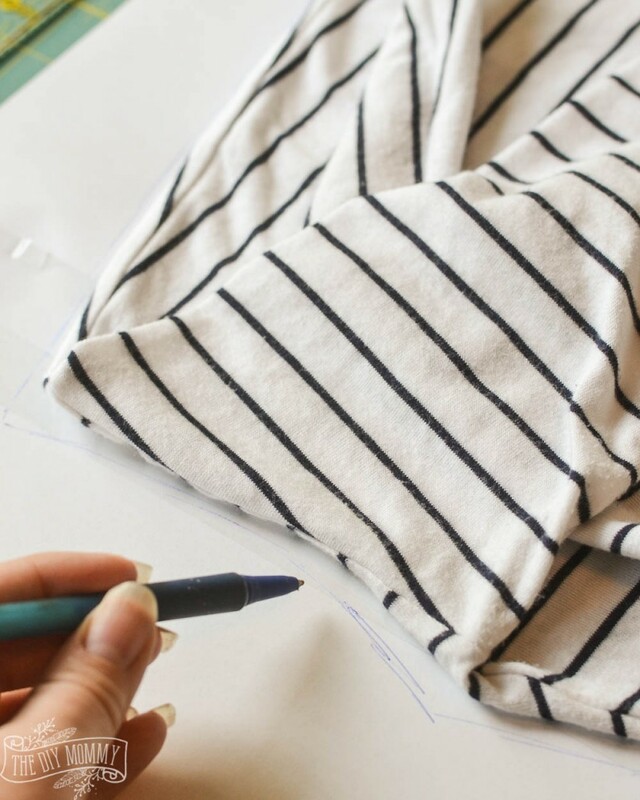 Here’s how I copied and sewed my favourite t-shirt, and how you can too. 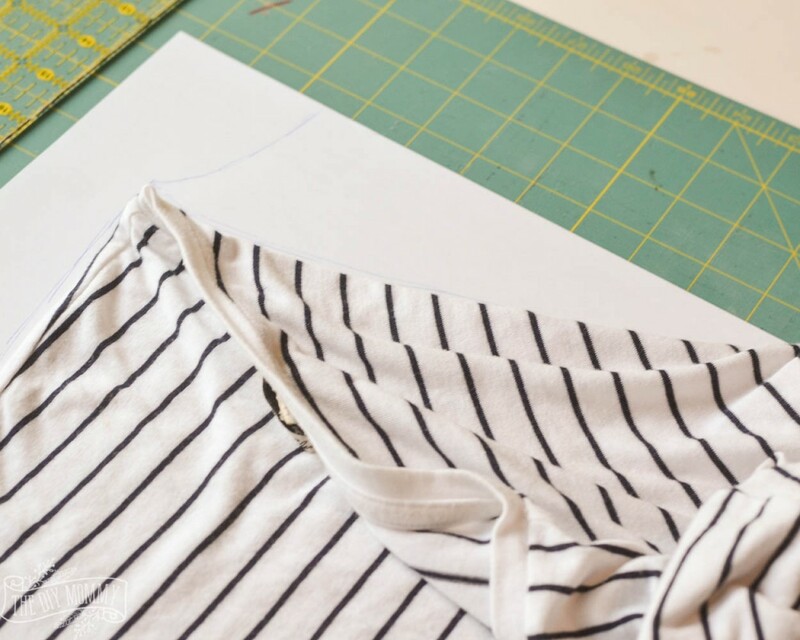 I chose a shirt with simple lines and elements that looked easy to replicate (like dolman sleeves and a simple neckline). 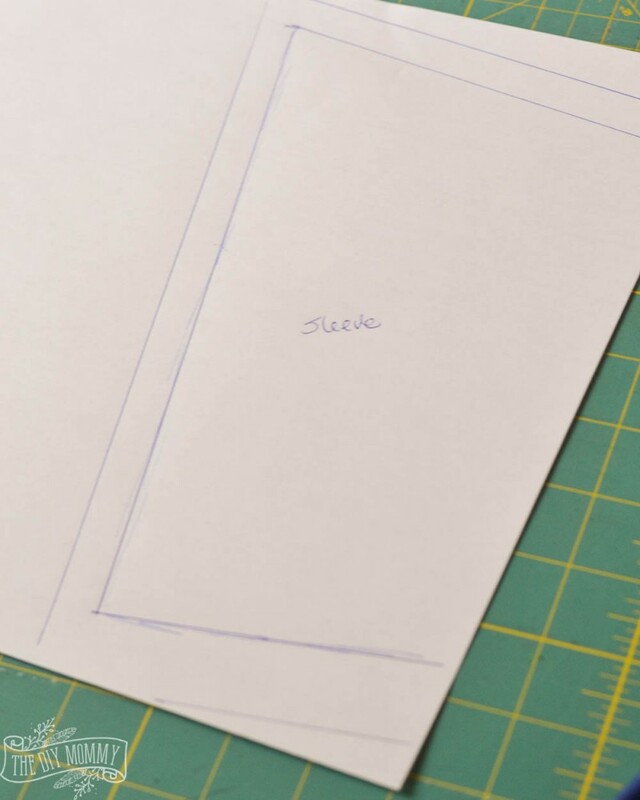 Flatten the shirt and lay out the sleeves first on a large piece of paper. 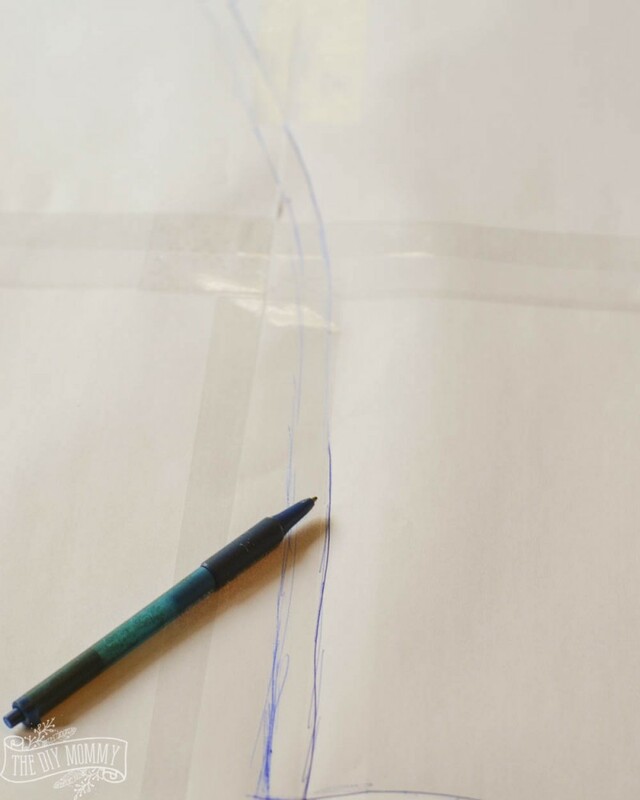 I like to use a large roll of drawing paper or parchment paper for pattern making. 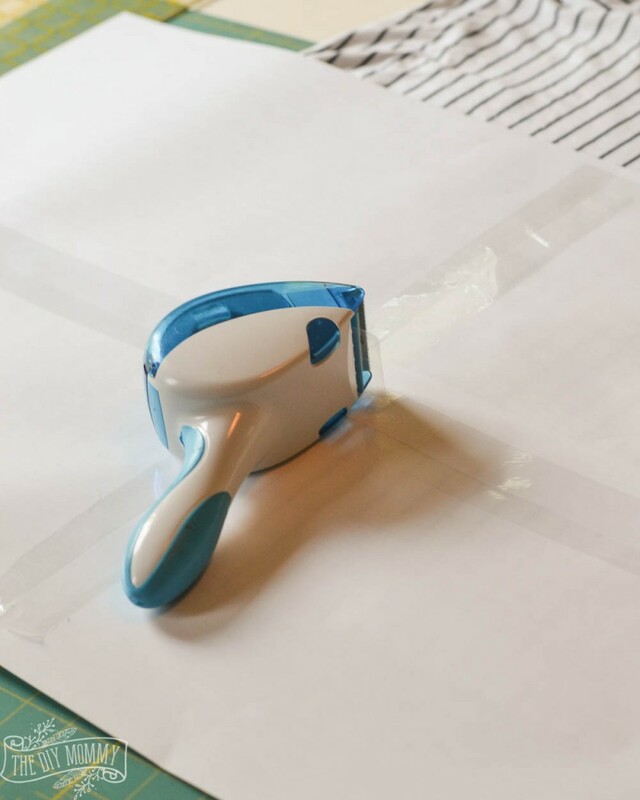 You can also tape smaller pieces of paper together as needed before you begin. 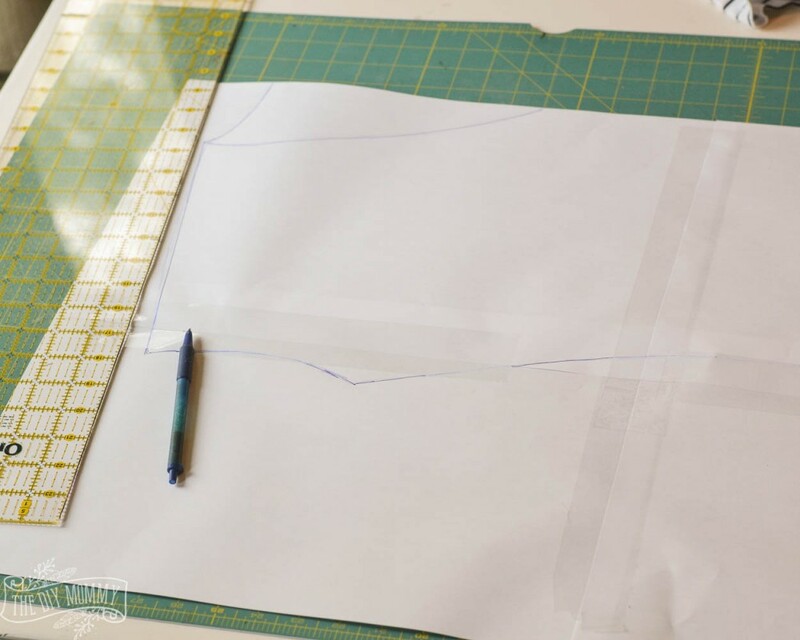 Place the seam of the sleeves a 1/2″ from the edge of the paper, and then trace around the sleeves with a pen or pencil. 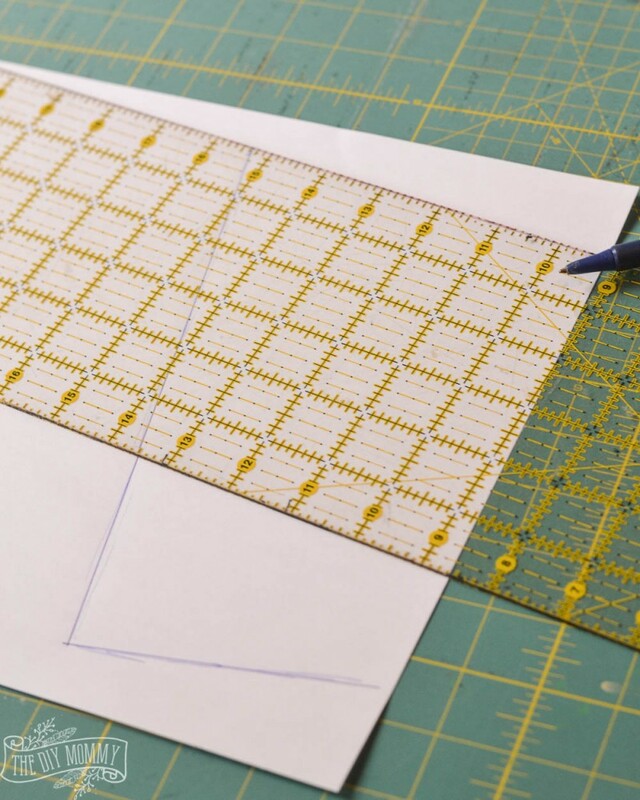 Use a hard ruler to straighten the lines you’ve made. 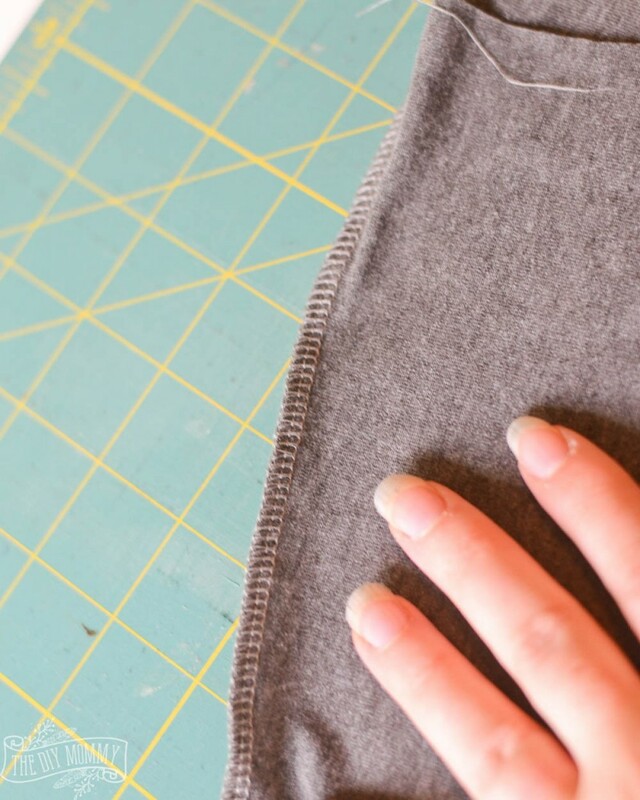 Add a half inch around the sides of the sleeve pattern to account for the seam allowance. I added an inch to the bottom of my sleeve just in case I wanted to fold it over. 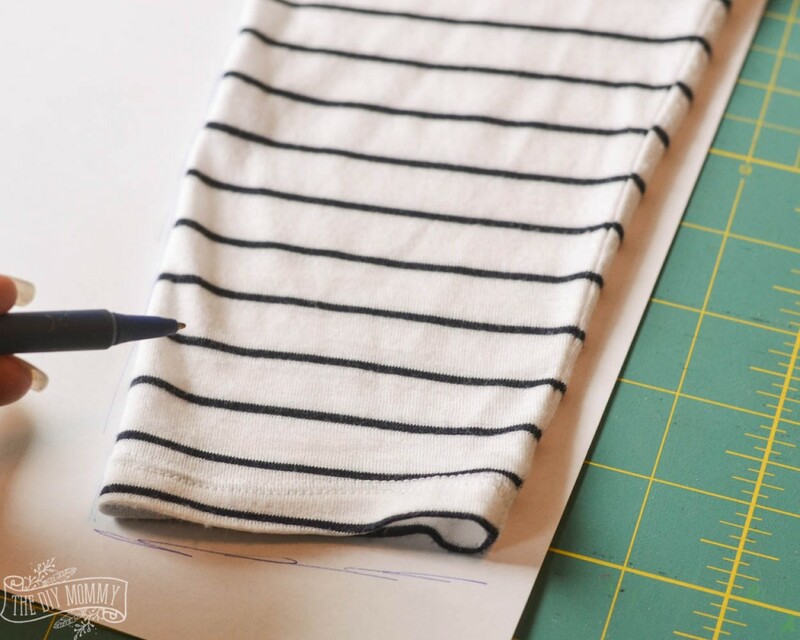 Fold the shirt in half, flatten it out, and lay it with the fold along the edge of your paper. 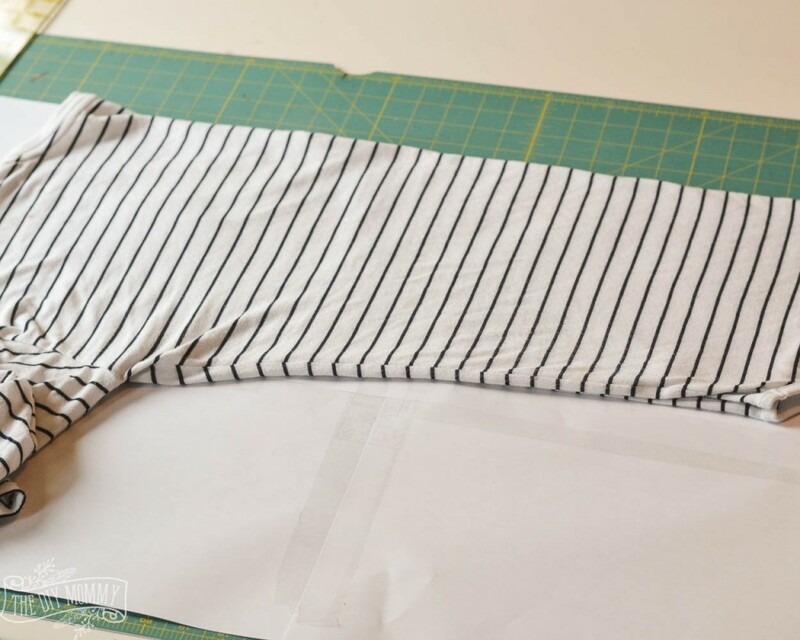 Fold the sleeves in and trace along the edge of the shirt. For my shirt, I first traced the back and then the front which had a deep V neck. 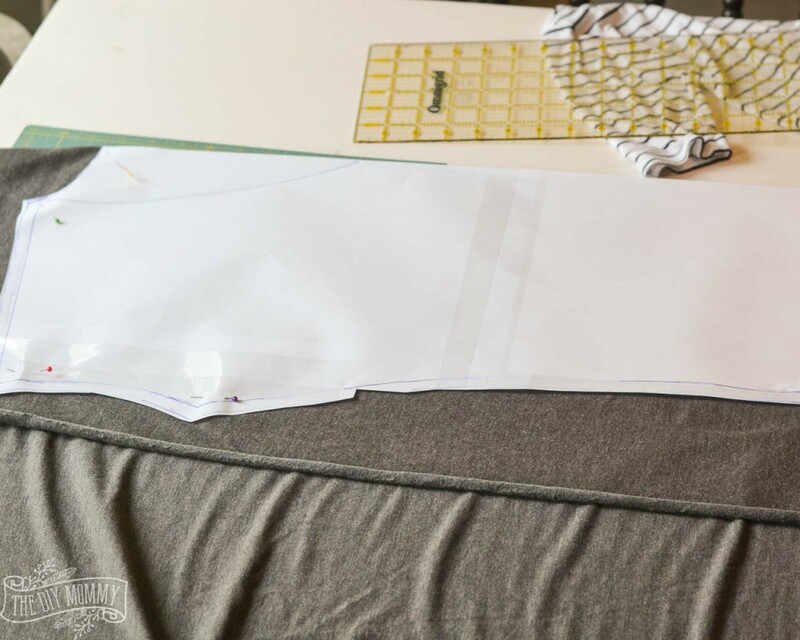 I used the same paper for both pieces and I simply cut the back piece first with the higher neckline, and then the front piece with the lower neckline. 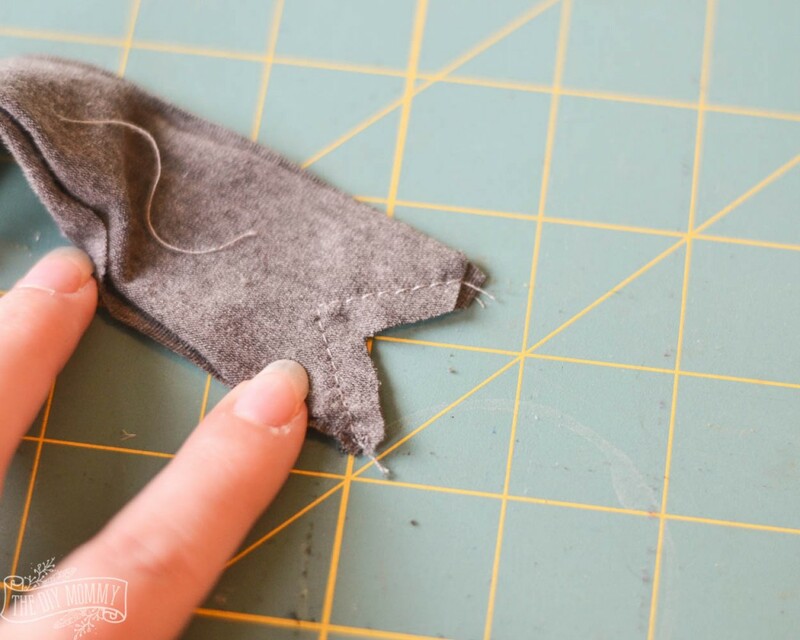 Straighten the lines if needed with a ruler, then add a 1/2″ seam allowance along the edges. 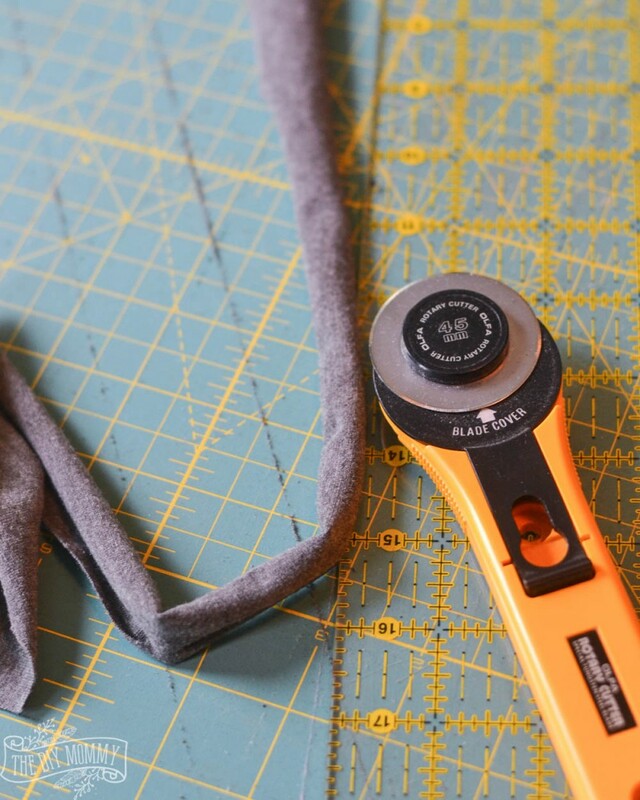 Cut out the pattern, and lay it on the knit jersey fabric. Here, I folded my fabric and then laid the pattern along the fold. 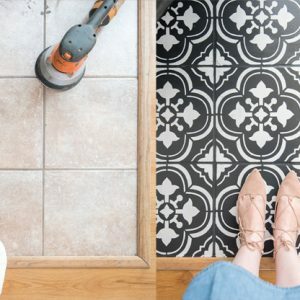 Cut one front and one back for your t-shirt. Repeat with the sleeve pattern & fabric. 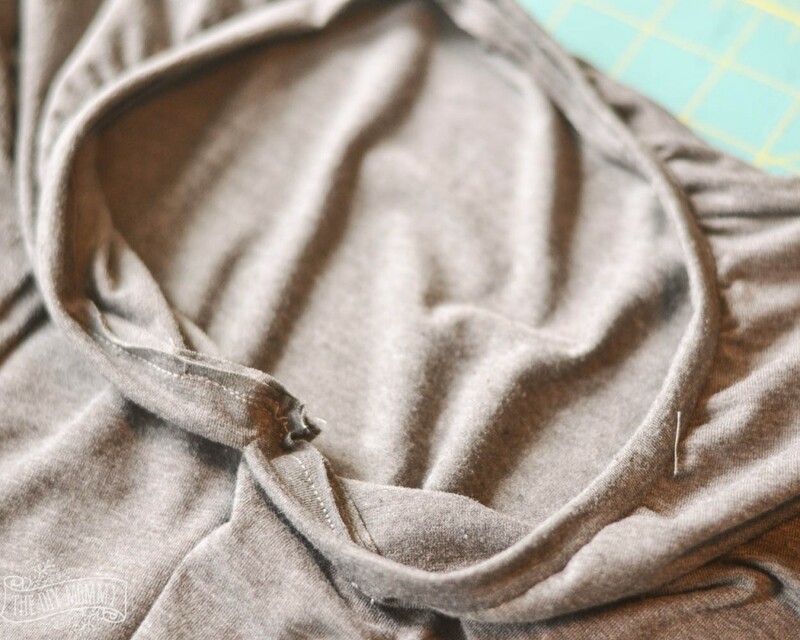 Sew the front and the back of your t-shirt together at the shoulder and the side seams using a 1/2″ seam allowance. 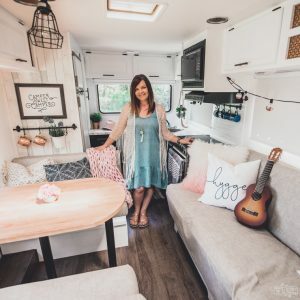 I used a serger, but you could also use a sewing machine. 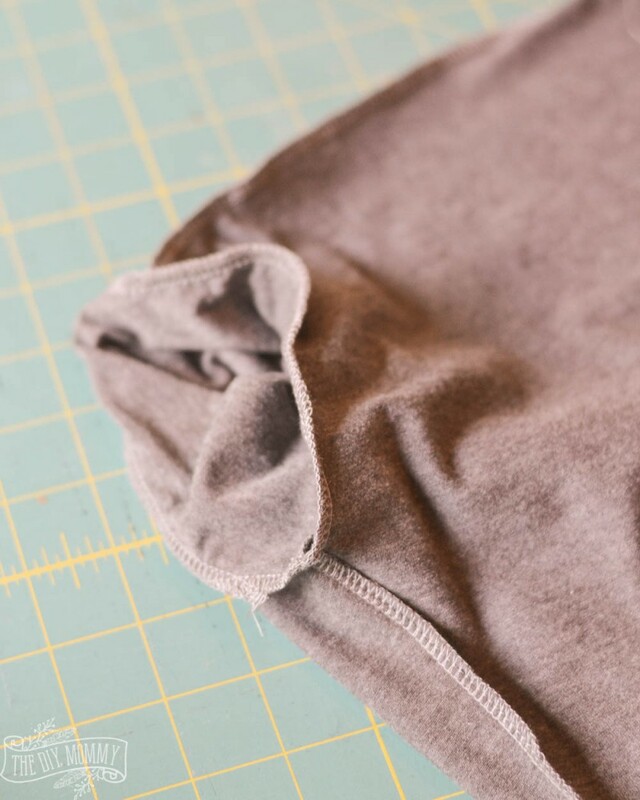 Sew the underarm seam of each sleeve together, and then set each sleeve into the sleeve holes of the main t-shirt piece. 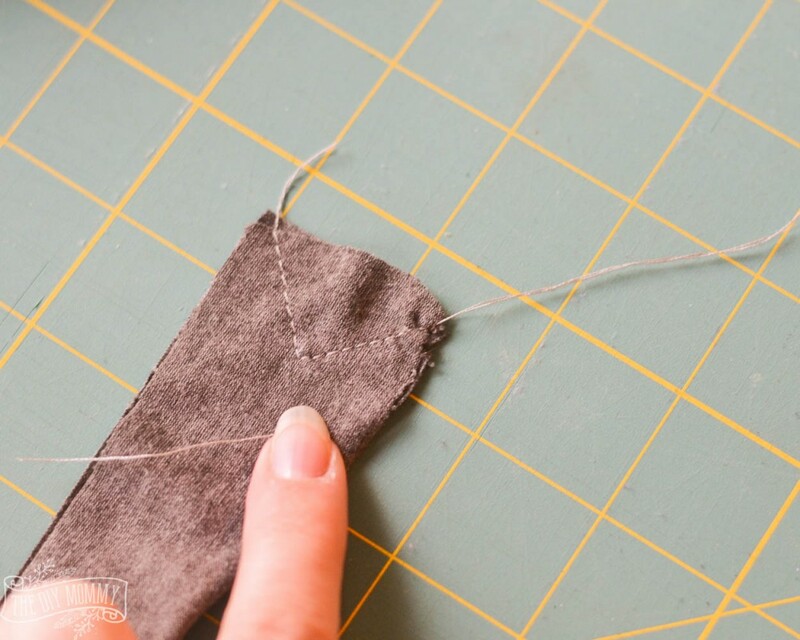 Align the seams, pin, and sew. 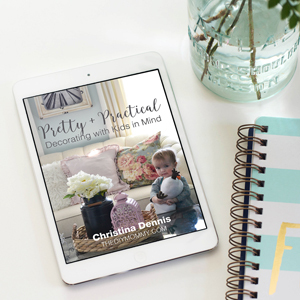 Make sure that the right sides of the fabrics are together! To finish the neck of my tee, I cut a strip of stretch knit that was about 2″ wide and 75% of the length of the entire neck opening of my tee. 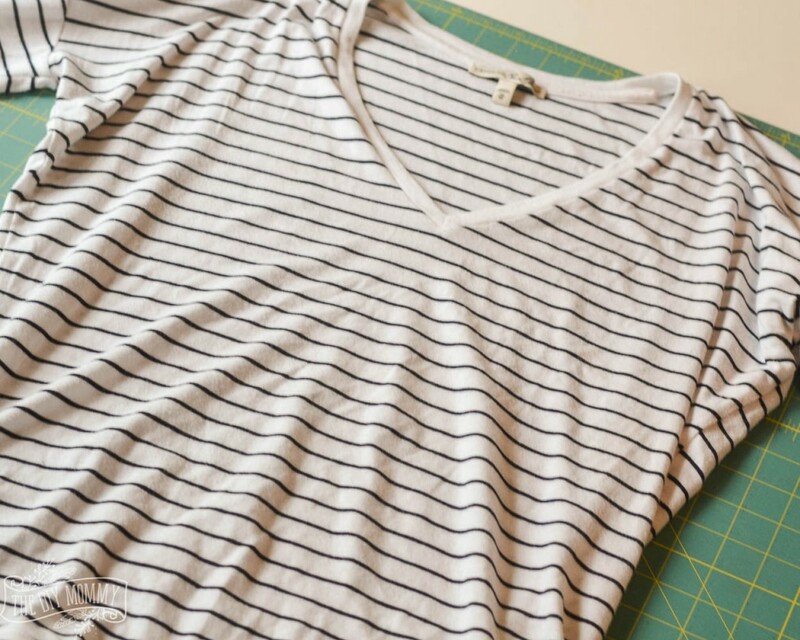 Then, I created the angle for the trim at the front of the V-neck by sewing the two ends of the strip together like this. Then I trimmed the notch like this. Next, I pinned the neck trim to the tee, stretching it as needed and matching the center backs and center fronts. I serged the neck trim to the tee. 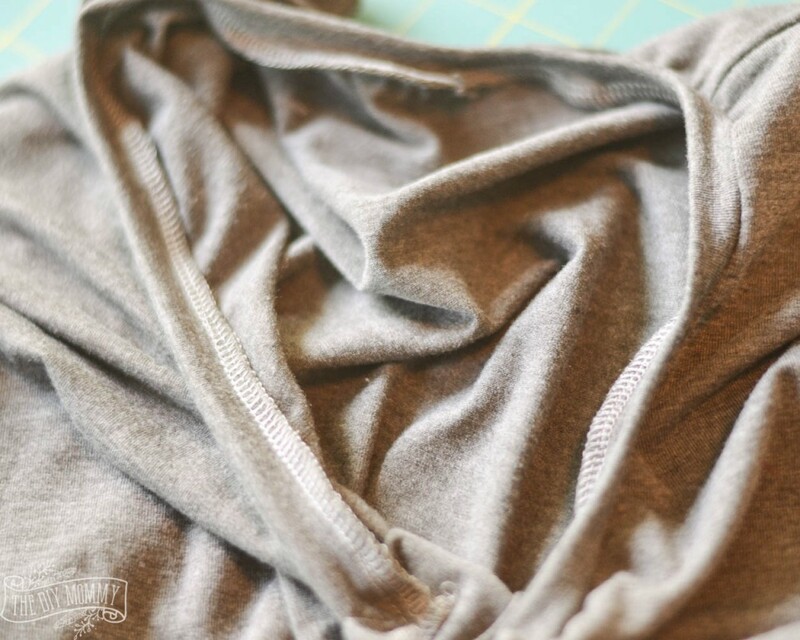 For a quick finish, I simply serged around the raw edges of the arm holes and bottom of the t-shirt. 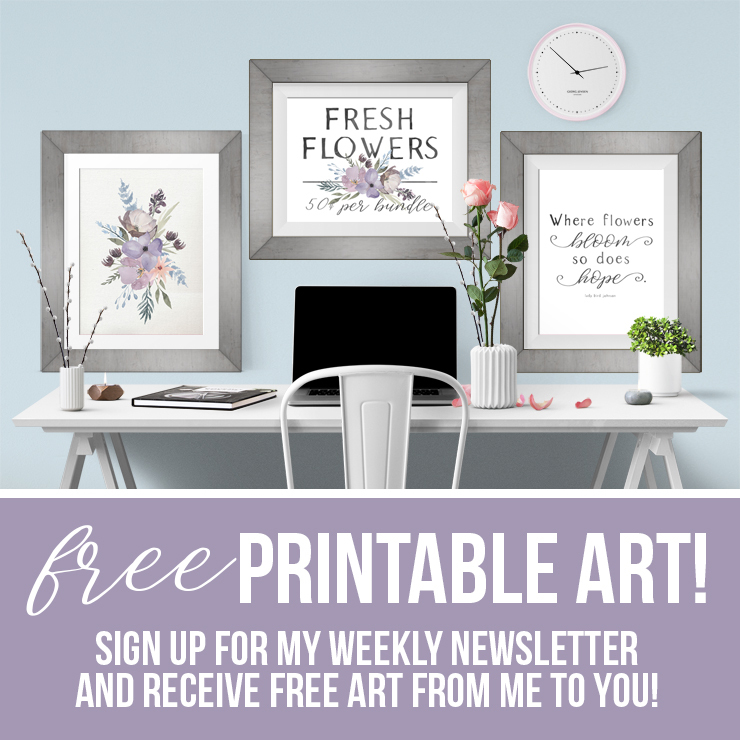 You could also fold these over and sew a hem. Now I have TWO favourite tees that I wear all the time. 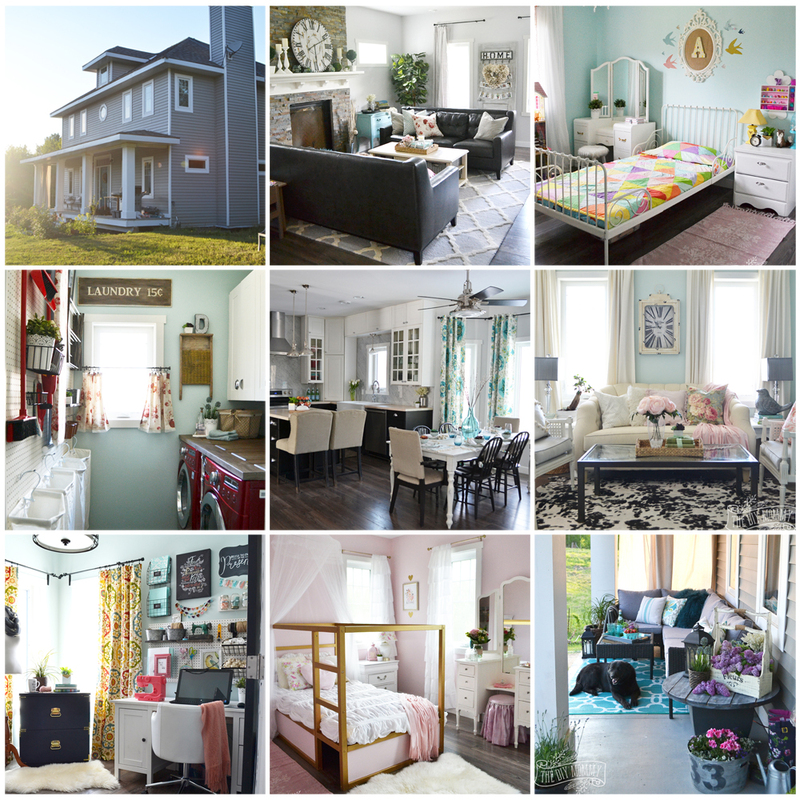 Have you ever tried to copy & sew a fave wardrobe item?